OMG! Have you seen the Twisted Lights from Bar-Maids? Let me shed some light on this ( pun intended). Twisted Lights are the most incredible beeswax candle with a very long burn time. For example, the smaller of the Twisted Lights available, burns for approximately 20 hours! But here is what sets these apart from other candles, Twisted Lights look exactly like balls of yarn. I actually thought it was a ball of yarn only to then think that they actually dipped a ball of yarn in some wax, it looks that real! Like your yarn in different colors? Twisted Lights come in just as many amazing colors and 100% local beeswax. 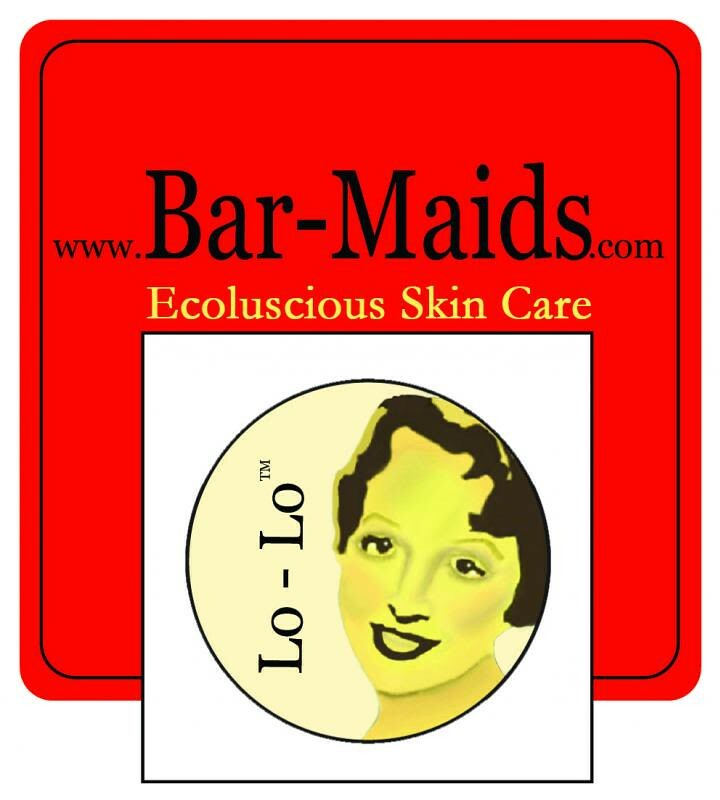 Bar-Maids does not use any additives or hardeners in their candles, nor do they coat their mold with a toxic mold release or spray. Just a hypoallergenic candle that is easy on the respiratory system and will not make you sneeze. The only wax that is proven to be nontoxic is 100% beeswax. Get your Twisted Light at Stitches West 2013 or at www.bar-maids.com beginning March 1st. We have something for all lovers of fiber, whether you knit, crochet, spin, or just love to pet pretty yarn. Spinners get special pampering with features that no other online community has. Stash your fiber, even that raw fleece! Create a spinning project and add the finished yarn to your yarn stash. Then search for the perfect pattern to showcase your work. Watch what your friends are stashing, queueing and creating in your real-time stream. In fact, you can even cross post to Facebook. Come join our virtual fiber festival at www.nimblestix.com. Use the invitation code "Knitmore" and have at it! Gigi finished her Monkey Socks. Jasmin has been working on the Yoked Cardigan by Hannah Fettig for Genevieve. Gigi has a severe case of startosis and has cast on a number of socks from The Knitters Curiosity Cabinet. And a pair of Vanilla Socks. She is knitting the Pinus Silvestris out of Koigu. She has also cast on the Crocus vernus, the Chrysanthemum frutensces, the Rubus subesrectus, the Rosa rubiginosa, and alsot he Polypodium vulgare. 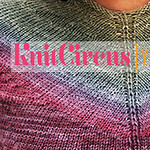 Jasmin is busy blocking the Playful Stripes Cardigan and the Cascade Cardigan. Also, she is excited about starting knitting the SPAKAL sweater. Gigi has been wearing her Cassidy. She had pulled her Citron to wear to a memorial service. Jasmin wore her Loop Looped Cowl. Say hello if you see us! How do you determine whether to pre-string beads, or to use a crochet hook to pick up beads? Gigi was working on the Celaeno for Dr. Gemma, and came up with an uneven count. And she started the Chrysanthemum socks and messed up the provisional cast on. Twice. We are purloining actual podcasters. We are hoping to host some awesome podcasters: Sasha Torres, of the Spin Doctor Podcast, Abby from the Knit Knit Cafe, Dr Gemma from Cogknitive, and Melanie of the Savvy Girls. We also hope to spend time with the Knit Lit Chicks! Hi, thanks for the Textured Sts Review. Sorry your mom didn't like it too much, but appreciate the comments nonetheless :) For what it's worth, I haven't heard complaints about the fit. I find the fit on set in sleeve sweaters the most comfortable and natural on the body which is why I tend to design more set-in sleeves than anything else. Also, with the 3-needle BO for shoulders, I find that grafting doesn't give enough structure to the shoulders and my sweaters tend to sag. But you can certainly substitute grafting for 3-needle BOs if you prefer. Hope you get to try some of the sweaters and that you like them.